Extreme PSI :: DIY and Fabrication :: Silicone Couplers :: 45 Degree Elbows :: Extreme PSI 4-Ply 45 Degree Elbow: 3.25" I.D. High Performance Series 4 ply Polyester reinforced silicone couplers have been made to survive serious boost applications. Manufactured to SAE J20 specification and utilizing 4 plies of polyester, we can achieve a continuous temperature range up to +376°F for direct turbo installations and have burst pressures up to over 50PSI. 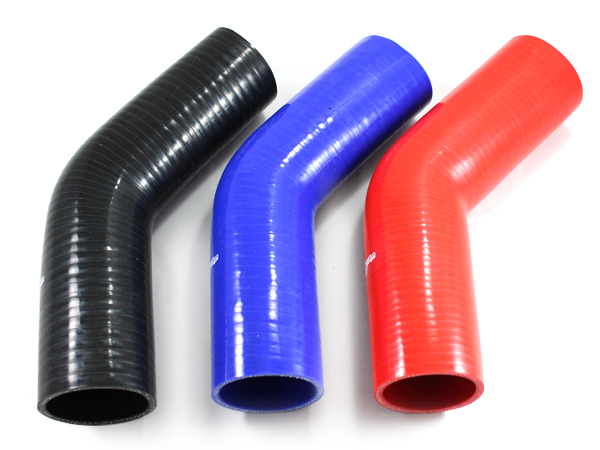 Extreme PSI hoses are manufactured and tested to meet or exceed the requirements of the SAE J20 R4 Class A Specification. 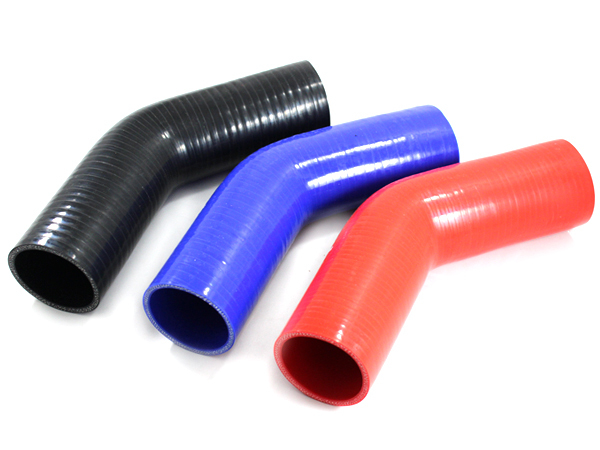 All of our hose products are made with a super slick outer cover. This simple and easy design promotes easier cleaning and that trick look under the hood. Warranty: One-year warranty against splitting, cracking, tearing or bursting. Want this item shipped out tomorrow, April 22? Order within the next 30 hrs 8 mins. 1.Extreme PSI 4-Ply 45 Degree Elbow: 3.00" I.D. 2.Extreme PSI 4-Ply 45 Degree Elbow: 2.50" I.D. 3.Extreme PSI 4-Ply 45 Degree Elbow: 4.00" I.D. 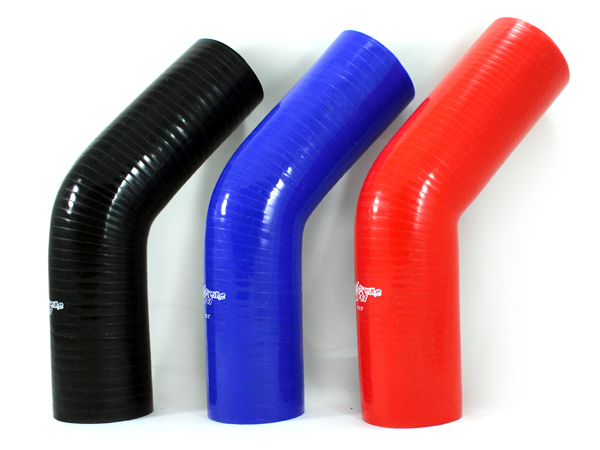 4.Extreme PSI 4-Ply 45 Degree Elbow: 2.00" I.D. 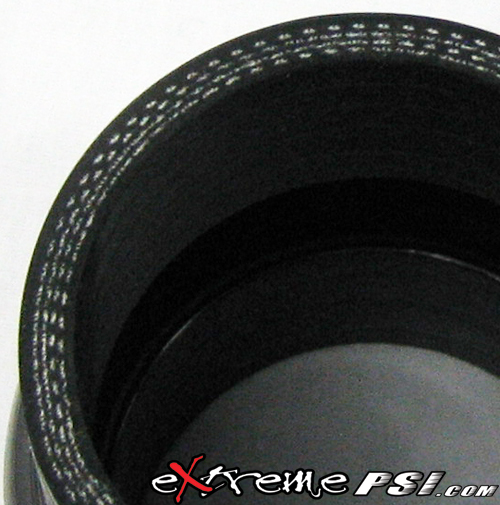 5.Extreme PSI 4-Ply 45 Degree Elbow: 2.75" I.D.